The names of the deceased were released. They are Cordarious Cortez Smith, 24, (the driver) of the 300 block of Prather Street and his passenger Rodney D. Richards, 24, of the 800 block of Brewton Street, both of Natchitoches. The NPSO also released the following photos. 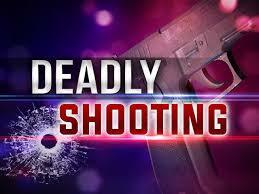 At 1:42 a.m. Wednesday, Aug. 7, the Natchitoches 911 Center received multiple calls of shots fired in the 200 block of Michelle Drive in the Payne Subdivision of Natchitoches. Patrol deputies discovered a passenger car in a ditch with two male occupants inside. Both were victims of gunshot wounds. NRMC EMS, criminal investigators, the District Attorney’s office and the NP Coroner responded. Both men were pronounced dead at the scene by the NP Coroner. Their identities are not being released at this time pending notification of next of kin. The bodies have been sent for autopsies to determine exact cause of death. Eight criminal investigators worked throughout the night interviewing neighbors and potential witnesses to gain information into this fatal shooting.